Have you dreamed about owning your own inn or restaurant? tone Bridge Inn & Restaurant is open and operating as usual and it’s also for sale! If you are an aspiring innkeeper, chef or event planner, this could be the opportunity you’ve been looking for. While the owners are looking to retire, it's still business as usual  the restaurant and tavern are open to the public for dinner Thursday through Sunday and available for weddings and private parties. The 13-room inn is available for lodging all year long. 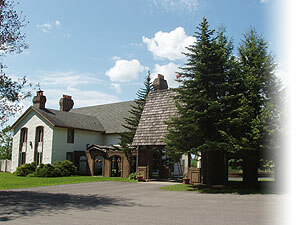 Stone Bridge Inn & Restaurant, a landmark restaurant, bar, hotel and wedding venue, has been owned and operated by the current owners for 24 years. This unique property is being offered for sale at $995,000 with buildings totaling 17,248 square feet on 10 acres and includes all furnishings and equipment. Built in 1979, the buildings are reminiscent of quaint, European-style village overlooking the surrounding hills and forests of Northeastern PA. The owners are certain that the property can provide not only a business opportunity but also an enviable lifestyle for the right individual, couple or family. There is space in the inn which could serve as living quarters for the owners, and there are other areas which could easily be converted to residential or functional space. There is ample parking and lawn space for events. There are several flower gardens, and with 10 acres, there is plenty of space for herb and vegetable gardens.